Growing up in farm country many farmers have memories of rock picking as one of their earliest jobs when they were kids. It was good physical work that yielded results as they saw their rock piles grow and extra change in their pocket. As adults, we appreciate the developments in farming equipment over the last few decades. Nowadays, farmers can go out to clear their own fields, and with the right rock picker save precious time and effort. With the Marshall Picker, we’re proud of the work we’ve put into our equipment to yield the results farmers need when they’re preparing their fields for a new growing season. In the early 1940s, Peter Anderson, a farmer in Saskatchewan, Canada decided to build a mechanical a rock picker. His early work and innovation set a foundation for future farming innovators. In the 1960s a farmer, Rosaire Bussiere, also in Saskatchewan, Canada set out to improve on the rock picker and eventually established a company known as Rock-O-Matic. This company eventually grew into Highline which now distributes a variety of farming equipment around the world. 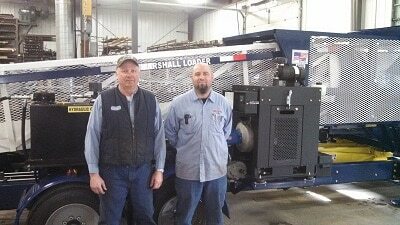 Marshall Machine Shop has been manufacturing machines with the finest quality craftsmanship since 1974. We are a family owned and operated business with a full-service machine shop. We pride ourselves in the details and design machines that offer powerful solutions for our customers. We started designing the Marshall Picker in 2015 and after 2 years of testing and prototyping, we are proud to offer a machine with incredible capacity, functionality and durability. Working with farmers operating farms in the Midwest, we are familiar with the challenges of rock clearing throughout our region. From the types of rocks and sizes that appear when the frost breaks, to the ones that are missed by hired help. 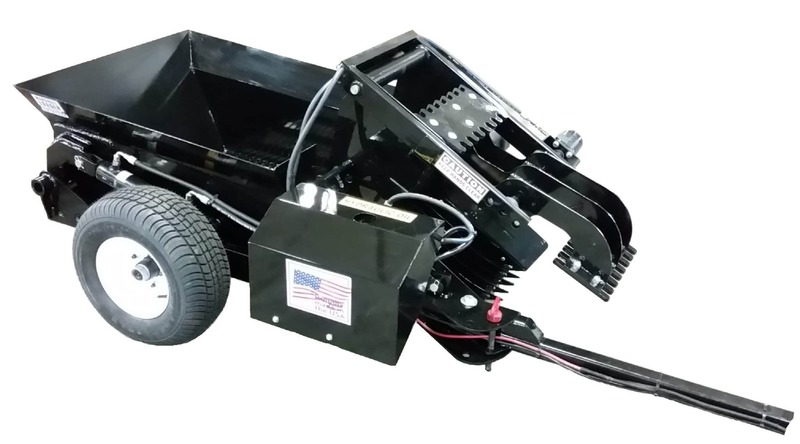 The Marshall Picker can handle wet soil in the spring and the bin can support up to 2000 lbs. of rocks. Just be sure your ATV is strong enough to pull The Marshall Picker if you plan to take advantage of its full capacity. The Marshall Picker can be configured to straddle 15, 22, or 30-inch rows. It can pick rocks of 2 to 15 inches in diameter with ease and when angled correctly, can handle rocks that are over 15”. The bin has a mesh bottom that allows finer particles to fall through making clean up a breeze. The Marshall Picker is supported by highway use tires and can be towed to and from the field at highway speeds. Another feature we offer is the non-jamming reel on the Marshall Picker, which bounces and prevents rocks from jamming. Contact us to find out more about our equipment. We want to work with you and find out what your needs are. We are continually developing our own equipment and appreciate your feedback! We offer a one-year warranty on all parts and components. Want to give the Marshall Picker a try? Contact Us and we’ll get you all the details.